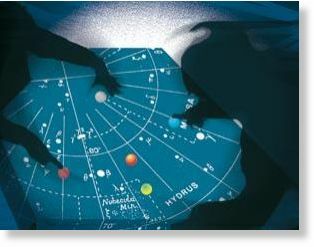 Editor’s Note: For those who have read the “Wes Penre Papers”, “The Second Level of Learning” about “dark matter” and “dark energy” and Orion being the origins or mankind. Love, Wes. Physicists have devised a new experiment to test if the universe is a computer. A philosophical thought experiment has long held that it is more likely than not that we’re living inside a machine. The theory basically goes that any civilisation which could evolve to a ‘post-human’ stage would almost certainly learn to run simulations on the scale of a universe. And that given the size of reality – billions of worlds, around billions of suns – it is fairly likely that if this is possible, it has already happened. And if it has? Well, then the statistical likelihood is that we’re located somewhere in that chain of simulations within simulations. The alternative – that we’re the first civilisation, in the first universe – is virtually (no pun intended) absurd. And it’s not just theory. 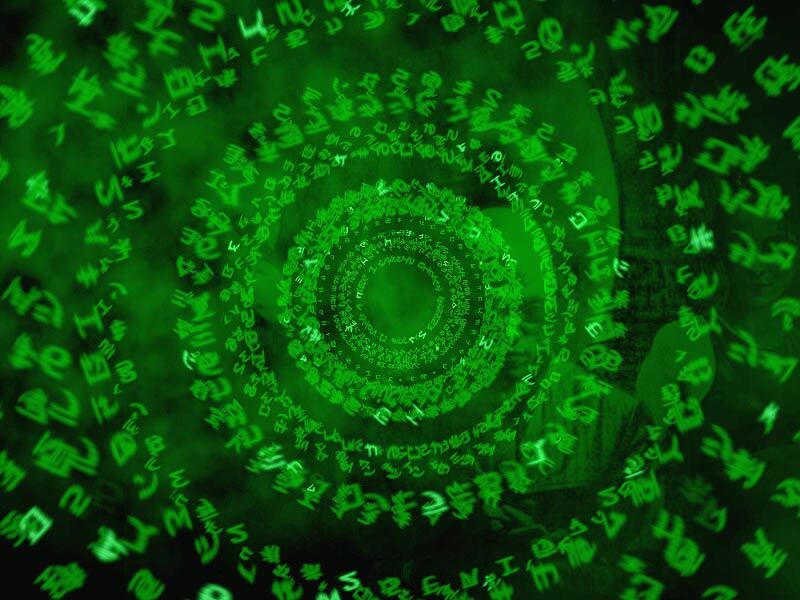 We previously reported that researchers at the University of Bonn in Germany had found evidence the Matrix was less than fiction. That story was by far our most popular of the year – indicating it’s something about which you lot have wondered too. Professor Martin Savage at the University of Washington says while our own computer simulations can only model a universe on the scale of an atom’s nucleus, there are already “signatures of resource constraints” which could tell us if larger models are possible. Essentially, Savage said that computers used to build simulations perform “lattice quantum chromodynamics calculations” – dividing space into a four-dimensional grid. Doing so allows researchers to examine the force which binds subatomic particles together into neutrons and protons – but it also allows things to happen in the simulation, including the development of complex physical “signatures”, that researchers don’t program directly into the computer. In looking for these signatures, such as limitations on the energy held by cosmic rays, they hope to find similarities within our own universe. And if such signatures do appear in both? Boot up, baby. We’re inside a computer. (Maybe). “If you make the simulations big enough, something like our universe should emerge,” Savage told the University of Washington news service. “The question is, ‘Can you communicate with those other universes if they are running on the same platform?,” she said. Now that would be a long-distance phone call. Editor’s note: This video actually shows scientifically much of what I wrote in my ‘Wes Penre Papers, The Second Level of Learning’, the first few paper in the series (the rest I have yet to complete). I knew about Nassim from before, but had never listened to him until this morning. Kind of blew my mind. This guy is, as far as I can see, brilliant in quantum physics and can mathematically explain what I’ve been writing about. Some say that his math is strange, but I let the listener discern. Nassim has been heavily attacked, both as a scientist and as a supporter of alien civilizations on Earth. What strikes me when I look into the arguments of these ‘debunkers’, I find them starting out with debunking his science, but don’t have anything substantial to debunk him on there, so they viciously attack his ‘alien civilizations’ theories instead, from the standpoint that these never existed. When I saw this being the normal trend among many debunkers, I decided that this guy must have something cool to say. I will look into his work some more. And best of all — Nassim speaks in layman’s terms! We often hear of people around the world who protect, rescue and grow trees. And we wonder why they do this. I co-created this video in June 2009 to share with you the reasons why The Trees are important to planet Earth. Using information found in Dianne Robbins latest book called Tree Talk published in 2008, this video contains a very small portion of an edited excerpt of the complete information shared by the Trees themselves. The Trees are magnificent beings who not only provide us shelter and shade and are homes to our animal friends, they too play the role of caretakers and stewards of this planet and much more. 2 months after posting this video on Youtube, I was communicating with a wise old tree in our local botanic garden. At the end of our conversation I asked the tree if it has any message for me, and the tree replied, “The Trees thank you for sharing our story with the world.” And my heart did a somersault and I was in tears. To receive thanks and acknowledgement from another species is my greatest reward. I hope you too can experience this and share your stories with others. Today I reach out to a tree, touch it, hug it, love it and talk to it. And the tree loves me back. It’s about connecting from the heart center and the common language we have is LOVE. All life forms respond to LOVE. That’s the way it is. I dedicate this video to all the trees of this world, the tree huggers, the tree growers and the tree rescuers. Please sit back, relax and enjoy their story! We often forget to give thanks to the things that have supported us in our human and spiritual evolution. Let us stop for a while and observe what they are. Our home, the dirt that helps create the foundation for our home, and all other life forms that feed us, clothe us, keep us company and provide us beauty in its existence. As we learn to support and love the very things that support us, we learn that we are ALL ONE. I invite you to sit back, relax and enjoy viewing. In appreciation and gratitude to All That Is. Enjoy this wonderful rampage of appreciation!